This is war as experienced in a Japanese prisoner-of-war camp in Java in 1942; but, above all, as experienced in the souls of men. What follows is the story of two British officers whose spirit the Japanese try to break. Yet out of all the violence and misery strange bonds of love and friendship are forged between the prisoners - and their gaolers. It is a battle for survival which becomes a battle of contrasting wills and philosophies as the intensity of the men's relationships develops. The book: Sir Laurens van der Post - apart from being mocked by the likes of Private Eye for encouraging Prince Charles' 'spiritual kind of thingy' - was a highly respected writer and thinker. 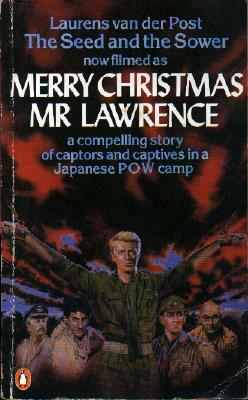 He was also a prisoner-of-war at the hands of the Japanese, an experience on which this fine novel was based. The film: Japanese film-maker Nagishi Oshima directed his first English language movie and - together with Paul Mayersburg - wrote the screenplay. The role: Bowie is Major Jack 'Straffer' Celliers, a part that requires him to demonstrate a stiff upper lip in conditions of adversity. He makes quite a good fist of it. Most memorable image: A 35-year-old Bowie appearing in flashback as the flannel-clad schoolboy incarnation of his character. Trivia: Nagisha Oshima also wrote and directed the 1976 cult classic Ai No Corrida, which finally became available on video in Britain a couple of years ago. If you haven't seen it, rectify the omission - it's a film you won't forget (in the same way that you won't forget, say Salo).